Over the course of a dozen trade books and numerous chapbooks, American poet Cole Swensen's [see her 12 or 20 questions here] poetry collections have evolved into a sequence of single-book explorations around an idea or series of ideas. Composing poetic sequences with all the thoughtfulness and research of a lengthy essay, Swensen's bounding energy and wordplay, liveliness and cadence have produced the finest poetry to come out of the United States over the past few years. Her poetry collections to date include: It's Alive She Says (CA: Floating Island Press, 1984), New Math (New York NY: William Morrow & Co., 1988), Park (Inverness, CA: Floating Island Press, 1991), Numen (Providence, RI: Burning Deck Press, 1995), Noon (Sun & Moon Press, Los Angeles, CA., 1997), Try (Iowa City, Iowa: University of Iowa Press, 1999), Oh (Berkeley, CA: Apogee Press, 2000), Such Rich Hour (Iowa City, IA: University of Iowa Press, 2001), Goest (Alice James Books, 2004), The Book of a Hundred Hands (University of Iowa Press, Iowa City, 2005), The Glass Age (Alice James Books, 2007) and Ours: poems on the gardens of Andre Le Notre (University of California Press, 2008). in both directions, i.e., it comes back to us. 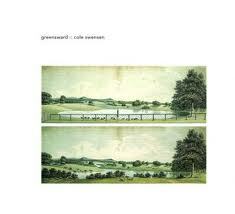 Greensward looks at the interaction between animals, humans, and gardens. Often playful, it explores the question of whether animals other than humans have an aesthetic sense, posits that they do, and suggests that they develop it through watching humans garden. The short sections of poetry and prose, sometimes plainspoken, sometimes poised precariously on the line between sense and non-sense, are dovetailed into engravings of 18th century gardens by the artist John Roque. Graphic artist Shari DeGraw and poet Cole Swensen collaborated on excerpting elements from the garden maps and playing with scale and patterning to create a conversation between the visual and verbal elements. Two well-known 18th century garden designers also make cameo appearances, giving the text a historical sweep from the heyday of the English landscape garden to the present. There is a lovely meditative edge to Swensen's greensward, in the way the poem wanders from point to point, exploring the minute details of various engravings by Rocque and his contemporaries, and just what purposes or meanings their animals held. What do animals know of aesthetics, of gardens? William Kent's trademark was the dogs. Dogs fill all his garden sketches—they bound on ahead, or they chase a rabbit; they race back toward their people, they leap around the children, and are always shown “taking off,” which is to say, their back feet are always on the ground while their front leap into the air and stop there, poised as sheer energy, as energy surely becomes the arcing that ultimately untangles the body. And the dog keeps her eyes locked on the vanishing point, which alone is what is pulling them (dog and man) silently, smoothly, inexorably into the heart of the 18th century. It's the future that vanishes, not thinking, and the dog sets off at a run, as it is, as it always has been, her gift and her wish to bring it back to him.